David Warner needs to fit into the Ashes puzzle somehow. 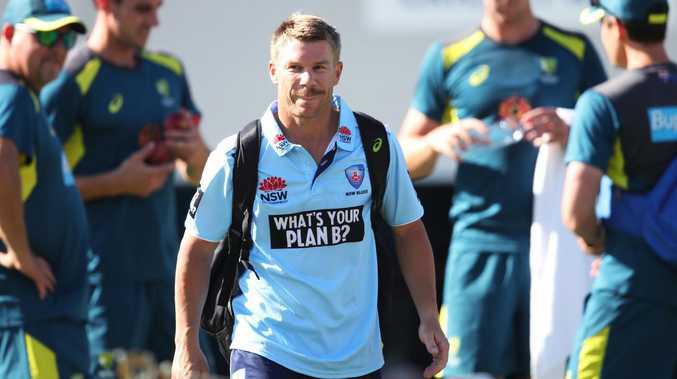 David Warner is still a month away from returning to international action - fitness pending - but the debate about his role in the Australian team is already a hot topic. Aaron Finch stumbled when given the chance to open the batting against India in the absence of Warner and fellow banned star Cameron Bancroft, leading to a recall for Joe Burns in the Sri Lanka series. The Queenslander took advantage of the lifeline, blasting a century in Canberra and while Marcus Harris didn't cash in against the Sri Lankans, he looked solid across the four Tests against India but failed to register a big score. Given Australia's batting woes without Warner and Steve Smith, both men will be automatic selections in the Ashes should they recover from respective elbow injuries in time. While most would expect Warner to resume his place at the top of the order, former England skipper Michael Vaughan reckons the left-hander might be better suited to a middle order role so he doesn't have to face the Duke ball, which swings more than the Kookaburra used in Australia. "One thing I'll say about Warner is I wouldn't necessarily think at this stage that he has to open the batting in England," Vaughan told The Daily Telegraph. "He comes in no question, but don't definitely think he has to open the batting. "He averages 22 in the first innings (in England). OK, he does well in the second innings, but does Warner have to open the batting against that Duke's moving ball? "Maybe the Aussies might need to be smarter and he might fit in the middle somewhere." Warner batted in the middle order for one Test in England in 2013 when he came back into the team after initially being left out for punching Joe Root in a bar, but he has carved out a sensational career as a specialist opener, averaging 48.2 from 74 matches. 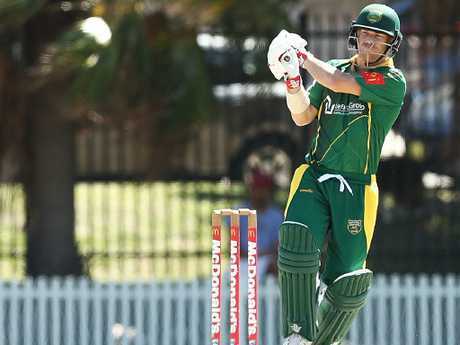 Warner stayed busy playing Sydney grade cricket during the summer. Ex-Australian captain Ian Chappell ridiculed Vaughan's suggestion, describing it as "absolute rubbish" and saying the former vice-captain is too valuable at the top of the innings to demote down the order. "To see the advantages that (an aggressive opening batsman) brings you, it's enormous," Chappell told Macquarie Sports Radio. "Warner can virtually win you a Test match in the first two hours of a game - why are you going to put him down in the middle order if he can do that? "Vaughan is saying it's because all of these guys (opening contenders) are succeeding in Sheffield Shield cricket. Well, for starters, you haven't got the Test match bowlers playing in Shield cricket. "If you're going to tell me that Bancroft, Harris … Burns and (Matthew) Renshaw are better suited to opening than Warner, I'm going to laugh in your face. "He is likely to score 80, or on his really good days, 100 in the first session of a Test match. That just obliterates the opposition and gives confidence to the other players around Warner. "You don't sacrifice that for anything." 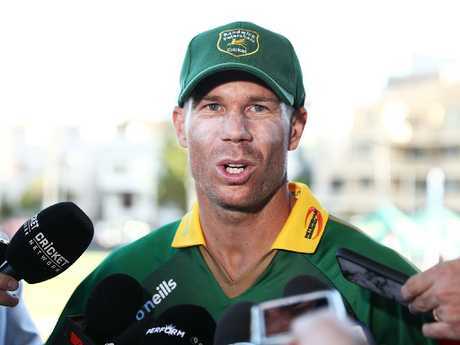 There were reports of tension between Warner and his teammates during the ball tampering scandal and veteran cricket journalist Robert Craddock believes how he reintegrates into the team will go a long way towards determining Australia's on-field fortunes in England. "You cannot win an Ashes tour in England with a team that hasn't gelled," Craddock told Gerard Whateley on SEN.
"We've lost our last four series there, you're in each other's faces day after torturous day. There's five Tests in six-and-a-half weeks, it's so intense. "You've almost got to build a brotherhood where you're together, and that's where the question of Warner's compatibility with players he has fallen out with over the ball-tampering affair (arises). "They're (tensions) there, can that be solved before the Ashes? I have my doubts, but they're working on it at the moment. "They're going to sit down Warner and the bowlers and talk to them about each other, but some of them haven't talked since the incident." Will Warner just walk back into the side. While expected to be a shootout between Harris and Burns for who partners Warner in the Ashes, Bancroft reminded selectors what he's capable of in a stellar return to Sheffield Shield action for Western Australia this week. In his first four-day match back from his ball tampering suspension, Bancroft carried his bat with an unbeaten 138 in the Warriors' first innings and almost did the same in the second dig before he was stumped for 86. He chewed up a mammoth 621 balls in the contest. Burns did his Ashes chances no harm by notching two half centuries (60 and 80) against Victoria but Harris stole the show in the first Shield round back after the Big Bash. He was robbed of a ton in the first innings when a dodgy umpiring decision sent him packing for 95 but he plundered 174 in the second innings in a spectacular final-day run chase that saw the Vics haul in a target of 300 late in the day with three wickets in hand. 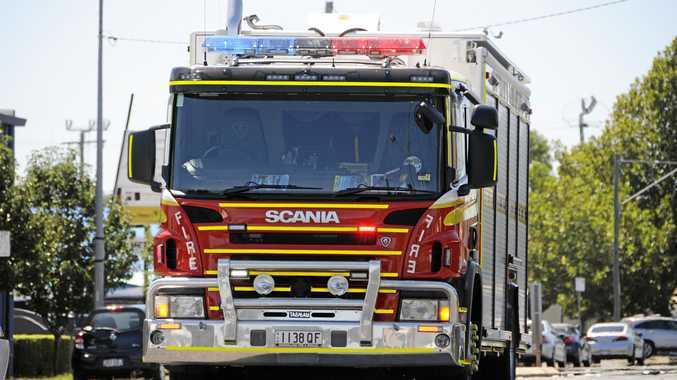 Breaking Emergency crews were called to the scene about 8.18am on Wednesday.